A woman sent me a Facebook message the other day asking me about a recipe she was confused about. She was following the Slimming World diet and the recipe was a Slimming World Breakfast Muffin. And therein lies the fundamental problem with Slimming world. The classification of foods as “syns” ie BAD and “free foods” ie GOOD is a real issue as it promotes a very unhealthy attitude to food. Food should be enjoyed and not any food should be considered a “syn” or “bad”, research show us that this leads to an unhealthy relationship with food and sets you up for failure. Is calling certain foods “free foods” results in increased consumption which could easily become a problem. In other words people will likely overeat on these foods because they think they are being healthy when in fact overeating on any food is not good for your health. that people who undertake diets that take a black & white view of foods like this leads to a 73% increase in the likelihood of weight re-gain in the future and poorer long term diet success in general. The ONLY TRUE WAY to lose body fat is through energy balance. Well what it means is, to lose body fat and look leaner we must consume fewer calories than our body’s calorie maintenance level. It’s as simple as that. That is the secret to success in weight loss, eat less calories than your calorie maintenance level. Okay back to why Slimming World doesn’t work… long term! Slimming World’s system is just their way of trying to control your calorie intake using its “Syn” and “Free Food” allowances, it's nothing magic. b) it makes people think a bit more about what they're eating and therefore end up eating less. One of the first serious issues with the system are the foods listed under 'free foods'. On the list of 'free foods', foods that you can 'eat as much as you like', are rice and pasta. Putting them on a pedestal as a “free food” causes issues, as mentioned above. The lack of serving size recommendations on these “free foods” is very concerning because you could end up easily within your syn allowance yet over-consume on calories. Eating 'as much as you want' of rice or pasta, without paying attention to portion sizes could lead you to in fact gain weight rather than lose it! This is because these foods are quite calorie dense and so it's pretty easy to rack up a decent amount of calories when eating them. Therefore you could be sticking to the “Slimming World” system and yet eating too many calories for your body so you won’t lose weight. Particularly if you’re a short female, who doesn't really do much exercise, (i.e. you don’t have a large caloric requirement), then eating as much pasta as you want is pretty certainly not going to give you fat loss results. I’ve had tonnes of women come looking for my help who’ve struggled to make progress using Slimming World and in pretty much all cases, they were eating way too much of the “free foods”. And when we got them to pay attention to portion sizes and eating an appropriate amount, they started making progress again. Other foods listed as “Free foods” include low calorie fizzy drinks such as Diet Coke, and Muller Light Yogurts. This really takes the biscuit for me as by doing this Slimming World are promoting highly processed foods as healthy! Diet Coke may be low in calories but it is packed with artificial colours and flavours and the sweetener aspartame. This is by no means a healthy drink and should only be consumed rarely. Similarly Muller Light Yogurts and other “Low Fat” yogurts have sugar or other artificial sweeteners in them to replace the fat and again are highly processed. When foods are highly processed, most of their micronutrients are stripped from them so essentially you are consuming calories without getting important nutrients that your body needs. A company like Slimming World that is promoting vitamin-poor processed foods with slogans such as “Live Happy” and “Be Gorgeous with Slimming World” is doing their customers an injustice. 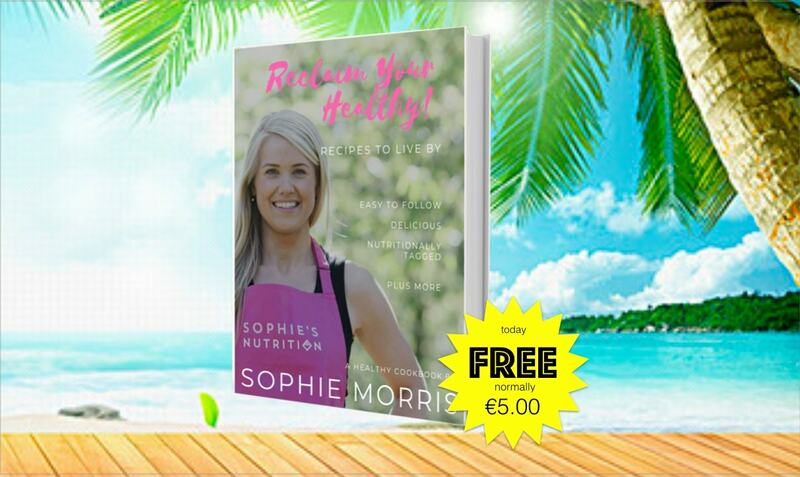 Promoting processed foods as healthy has to be the most serious problem with Slimming World, and people need to be educated that the best way to eat healthily and get sustainable fat loss results is through following a diet of nutritious, whole & real foods. The list of issues with the “Free foods” goes on and on and having too much of these foods is what causes so many people following Slimming World to have digestive issues such as diarrhea and constipation. It’s important to note that having digestive issues like these is a clear sign that your diet is not at a healthy balance. Before I finish, I want to raise the issue with the reliance on the 'syn' system. On more than 1 occasion, I've seen it asked how many 'syns' a certain food product has. Then, if the number of syns in that food is unknown, the food is not eaten. This isn't a good long term approach to take....living your whole life trying to work out how many 'syns' a food has before you decide if you want to eat it leads to an unhealthy relationship with food. Far too many times I’ve seen it cause obsessively thinking about food and “syns” which is not good for mental health and wellbeing. This reliance on the 'syn' system doesn't encourage as flexible an approach as is optimal for long term healthy nutrition and weight maintenance. Clearly, Slimming World does work for some people, particularly in the short-term, but it does have fundamental problems that mean it won’t work for others even when following the 'rules'. And if someone doesn't get results despite following the rules, it can be really disheartening and they might feel like a failure. They believe that these rules work and are the way to lose weight, so if it doesn't work for them, then screw it, is there any point in trying? This kind of limiting belief is what I see time and time again with women and is a huge obstacle for them trying to create a healthy lifestyle. My aim, as always, is to help people. I want to increase people's awareness about the potential issues with diets like Slimming World and get them out of the mindset that they “can’t do it” if they have had a bad experience dieting. If you find yourself struggling to make progress, despite following the Slimming World rules, it's not you that's the failure, but it's Slimming World's system that has failed you. Thanks so much for taking the time out to read this article, I am really interested in what you think of this content so let me know in the comments below. Also if you found it valuable share it with your friends using the share feature on the side!